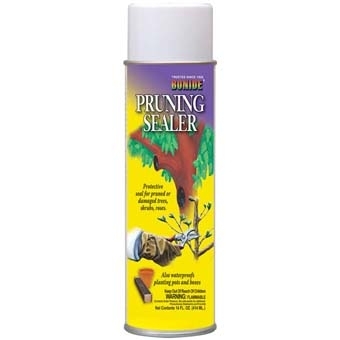 Bonide Pruning Sealer Aerosol 14 oz. 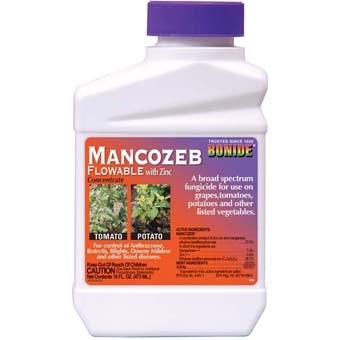 Mancozeb 37.0 percent; A broad spectrum fungicide for use on a wide variety of vegetables and ornamentals. Controls leaf spot, downy mildew, blights, anthracnose, botrytis and other listed diseases. 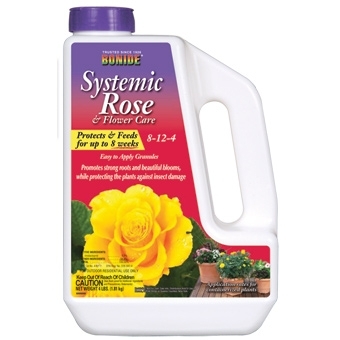 Systemic Rose & Flower 5LB granular. Imidacloprid and 8-12-4 plant food. 2-in-1 systemic insecticide plus fertilizer for roses, flowers, and shrubs. 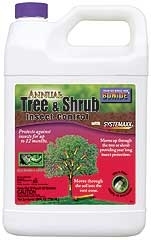 Especially formulated to provide up to 8 weeks of insect control as well as essential macro plus micro nutrients. Also great for container gardens. Bayer All-In-One Rose and Flower Care 32 oz. 3 Systemic Products in One - Insect control, disease control and fertilizer. 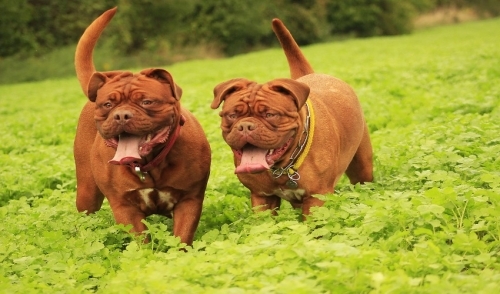 Six-weeks insect and disease protection. No spraying! Just mix with water and pour around base of plant. Bayer actives - 0.15% MERIT insecticide, 0.80% Tebuconazole, 9-14-9 fertilizer. 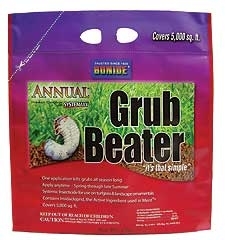 One annual application is all it takes to control grubs all season long.....Its that simple! Also kills European Crane Fly larvae, mole crickets and other turf destroying insects. Apply any time, spring through summer. Contains 0.5% Imidacloprid. Compare & Save! One application kills insects and prevents new infestations for the entire year. No spraying, just mix and pour at base of the plant. Systemic Insecticide is absorbed through the roots to all parts of the plant, even new growth, and won't wash off. For use on listed fruit, nut, and ornamental trees and shrubs. Kills borers, (including Emerald Ash Borer and Asian Longhorned Beetle), Adelgids, Miners, Whitefly, Scale, Beetles, Weevils, Etc. Contains 1.47% Imidacloprid. Rose Rx Systemic Drench. Protects entire plants, even new growth, against insects and diseases. Lasts 6 weeks. Rain or watering does not wash off this long lasting protection. Simply measure, mix and pour around the base of roses and shrubs, or sprinkle over the top of entire flower beds. 1 quart treats up to 16 roses or other shrubs or 200 sq. ft. of flower bed. Contains Tebuconazole and Imidacloprid.